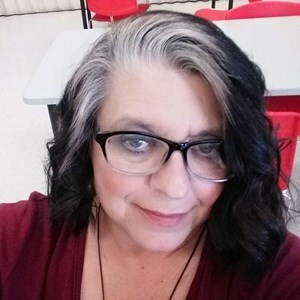 Newcomer Family Obituaries - Carolyn A. Scaletta 1962 - 2019 - Newcomer Cremations, Funerals & Receptions. Carolyn A. Scaletta, age 56, of Kettering, passed away Thursday, February 7, 2019. Carolyn was born in Dayton, September 29, 1962 to the late Charles & Lois Fogle. She was a mother to everyone, a lover of music, a friend to nature and a pillar of support for anyone who needed it. Carolyn loved all, but she especially loved her children. She knew no hate, no judgement and had a true heart of gold. Carolyn was preceded in death by her husband, Charles L. Scaletta. She is survived by her son, Chad (Nancy) Marsh; daughter, Anna Scaletta; grandchildren, Benjamin, Luke and Colin Marsh; siblings, Charles (Marsha) Fogle, Michael Fogle and Amy (Keith) Gilbert; friend & father of her son, Henry Marsh; many nieces, nephews, extended relatives and close friends. The family will receive friends on Monday, February 18, 2019 from 5-6pm at The Gathering, 8911 Yankee St, Centerville, OH 45458. The service will follow at 6pm, with Pastor David Rudd officiating. To share your memories of Carolyn or leave a special condolence message for her family, please click Share Memories. Add your memories to the guest book of Carolyn Scaletta. Carolyn was a ray of sunshine to anyone who came to Airway Animal Clinic. She always had a smile and happy disposition and this meant so much to me and the people who came there with their sick pets. When I heard she had made her transition, I was so saddened that I would not see her again and I thought how difficult it must be for her family and loved ones to lose such a beautiful person. May you all be comforted by Angels to soothe your grief. I could not find the Newcomer on Yankee road or I would have been there. We had so many adventures together. We would laugh at the smallest things. We were the perfect best friends. You were "my person". You will always be remembered on any adventure. I am going to do a few of the things we planned my hope is you'll smile. Say a big hello to Chuck. I will miss you bunches and I will love you forever. Anna, Chad and family you have my heart felt sympathies . We all lost a wonderful person and gained a beautiful angel. Your contagious smile and bubbly demeanor is greatly missed. I had the pleasure of working with Carolyn at Airway Animal Clinic. I was fresh out of school and completely nervous. Carolyn made me feel like family immediately. She had a way with animals and humans that made everyone like her. I felt comfortable and respected around Carolyn right away. She made me smile everyday and was always supportive. She had so much love for her children, husband, and family. She is truly missed by so many people. I hope she is singing karaoke (Come Together) with her beloved Chuck. Miss you. I am so happy that I had the pleasure of knowing Carolyn. She welcomed me as if I was family. She had a beautiful spirit. She was beautiful inside and out. She is missed already but forever in my heart. I had the pleasure of working with Carolyn at Target. We spent many mornings talking and becoming friends. She always spoke lovingly of her family- Anna "Annie" and Chad and her grandsons and even her brothers and sisters. And she was always such a kind person to every guest that came through her line. She had such an genuine way of connecting to people and showing true compassion. She really was one of the kindest people I ever met. I am so sorry for your loss, and I will also miss her dearly. Your mother loved you guys so very much. I remember sitting outside at the Alpine with her and we would talk for hours at a time. I am so sorry for your loss. There is nothing I can say that can make your pain feel better. As a close friend once said to me, the pain never gets better, it just gets easier to deal with. I am here if you need to talk. There was much excitement when Carolyn was born as the first granddaughter in a family populated exclusively by boys. She was special even then. We all will miss her. Carolyn, my dearest sister and best friend...I love you more than life itself, and will miss you more than I can stand. You were my everything. I love you so much. I will see you when I get there! Then my heart will be mended....Chad, Anna Aunt Amy will always be here for you if you should ever need me. You're both loved beyond measure.